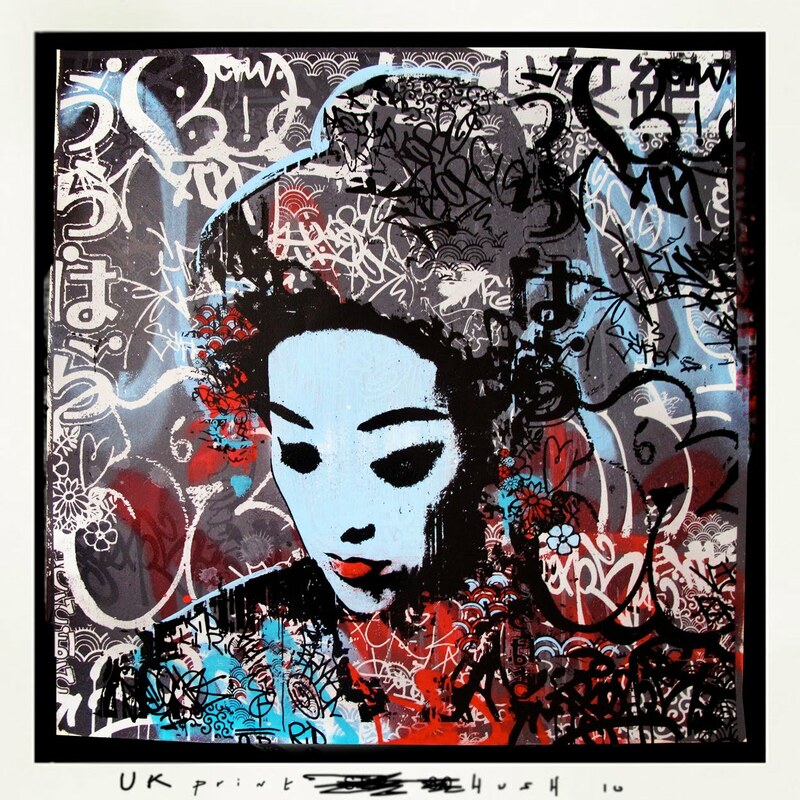 UK based artist Hush has a show opening this evening 19 November 2010 in New York at Angel Orensanz Foundation, For Contemporary Art. To celebrate the show he has produces an small edition of 25 heavily hand worked screenprints which will be released online by Black Rat Projects. This varied edition titled ‘Through the Night’ will be available via their website online from 12 noon tomorrow (Saturday 20th November). If you are in New York the private view is tonight 19 November 7.00 PM — 10.00 PM. The exhibition then runs until the 21 November.